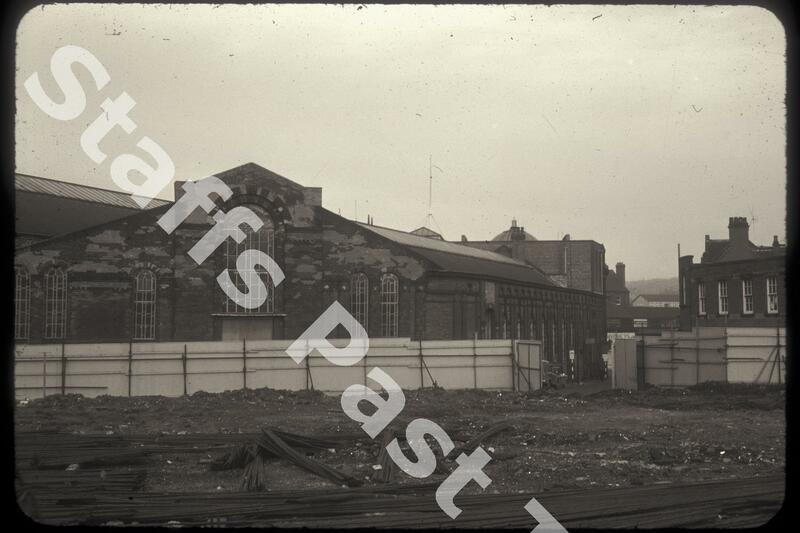 Description:This photograph was taken from halfway along Transport Lane (formerly called Market Lane) with Market Street at the bottom. One of the six entrances to the Public Market is seen through the gate in the fence. 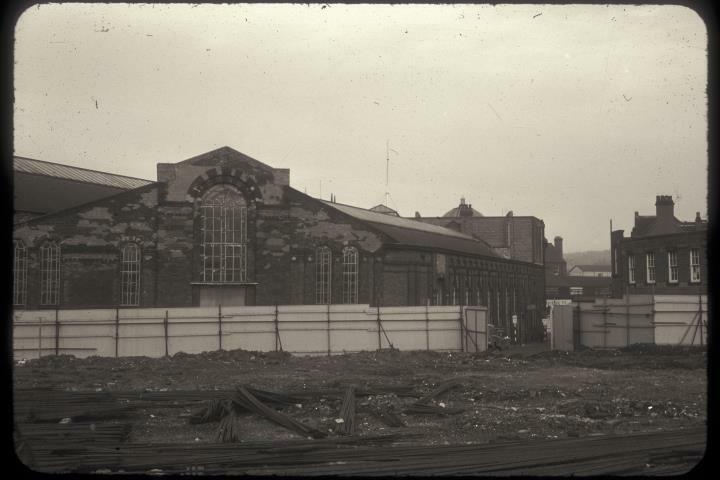 The photograph was taken whilst the Bennett Precinct, to the south of the market was being built. There has been a market in Longton for over 200 years, the building in the photograph was refurbished in 1991-92.